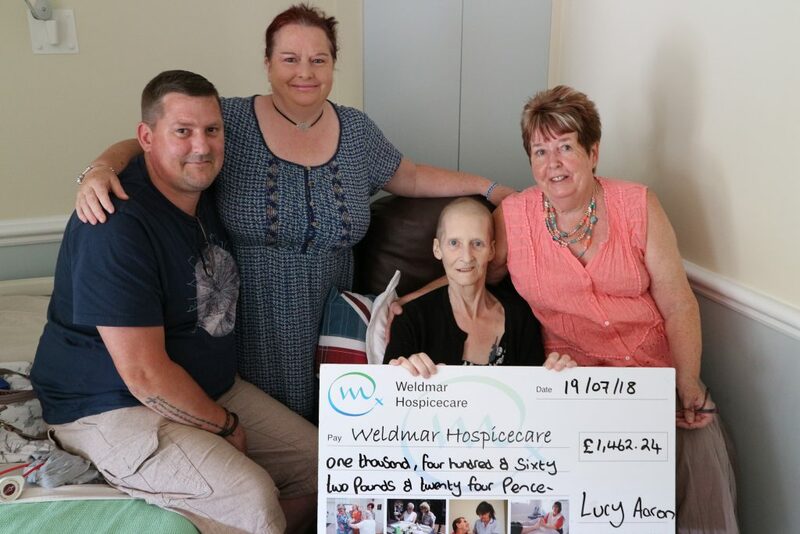 On Sunday 8th July, Lucy Aaron, who has stage four terminal cancer, had her hair shaved to raise money for Weldmar Hospicecare raising more than £1,400. Lucy, who is a patient at Weldmar, originally decided to have her head shaved in Hope Square in Weymouth but she was too poorly on the day. Instead, she had it shaved at her home by the Manageress of Gunz Barbers in Weymouth, Gail Broome. Lucy was diagnosed with Bowel cancer in February last year and said she was waiting patiently for her wound to heal. But as time passed, she had discovered that the cancer had spread to her liver, lung and possible ovary. But that didn’t stop Lucy going through with the challenge and raising money for Weldmar. Weldmar Hospicecare provides ‘Outstanding’ end of life care to patients throughout Dorset. The charity is heavily reliant on local fundraising activities and income from the chain of Weldmar charity shops.